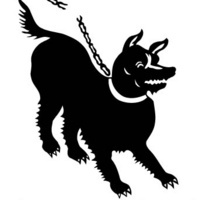 This annual Cave Canem poetry reading features Reginald Dwayne Betts and Camille Rankine. Hosted by Reginald Harris of Poets House in New York. Reginald Dwayne Betts’ latest collection of poetry, Bastards of the Reagan Era, was published by Four Way Books. He is the author of A Question of Freedom: A Memoir of Learning, Survival, and Coming of Age in Prison and the poetry collection, Shahid Reads His Own Palm. Betts received a B.A. from the University of Maryland, an M.F.A. from Warren Wilson College, and is currently a student at Yale Law School. Camille Rankine is the author of the new poetry collection, Incorrect Merciful Impulses. Her chapbook Slow Dance with Trip Wire was selected by Cornelius Eady for the Poetry Society of America’s 2010 New York Chapbook Fellowship, and a recipient of a 2010 “discovery”?Boston Review Poetry Prize. She is assistant director of the MFA program in creative writing at Manhattanville College. Metered parking available on Maryland and Mt. Royal Avenues and on Charles and Oliver Streets; nearby parking garages: Fitzgerald Garage, 80 W. Oliver St. and Maryland Ave. Garage, 1111 Maryland Ave.